The room was dark and quiet, save the the soft buzz and light coming from the large computer screen in the center of the cylindrical room. There was a large amount of wiring nearly everywhere, leaving little of the concrete floor showing. Large assorted electronics were haphazardly around the room, though all focus was on the screen, black with green letters. While it was what caused his birth, it was also the worst time of his life. Just when he thought he had it all, a loyal army, a nation, everything... It just vanished. He was nothing after he escaped his humiliating downfall. No more power. No nothing. 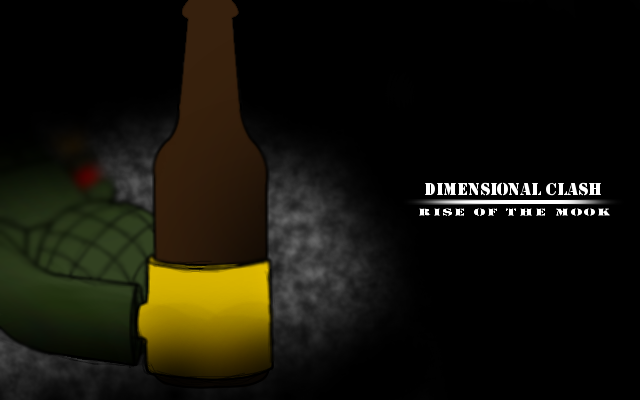 Welcome to Dimensional Clash: Rise of The Mook! I think we all know damn well how a Dimensional Clash works, but incase you don't, allow me to recite what Erops said for DCVI. Something about.. Darth Vader... And teletubbies. Hehe.. That link says 69 at the end. Height (you can approximate): 5'3"
Abilities: Yoshi can flutter in mid-air by wildly kicking his legs, and ground-pound. With his prehensile tongue, he can eat mooks and turn them instantly into eggs to hurl; eggs can ricochet twice before breaking, though yellow and red spotted eggs release coins and stars, respectively. In addition, Yoshi has great back strength and can carry a passenger on his back, with his red shell acting like a saddle. Eating certain fruit causes Yoshi to blow up like a balloon, glow like a light bulb, or run extremely quickly while on fire, and holding Koopa shells in his mouth causes him to breathe fire (in the case of red shells), cause earthquakes (yellow shells), or sprout wings (blue shells). Bio: The Yoshis are the indigenous dinosaur species of Yoshi's Island; this particular green Yoshi (full name T. Yoshisaur Munchakoopas) has been Mario's friend and mount since childhood. He certainly aged well; Yoshi is still as sprightly and ready to aid Mario as he ever was. Yoshi helped Mario in his first adventure ever, saving Luigi from the clutches of Kamek the Magikoopa. In Super Mario World, Bowser trapped all the Yoshis in eggs; the Yoshis were freed by the efforts of the Mario Bros., and Yoshi became a constant companion of the adult brothers. 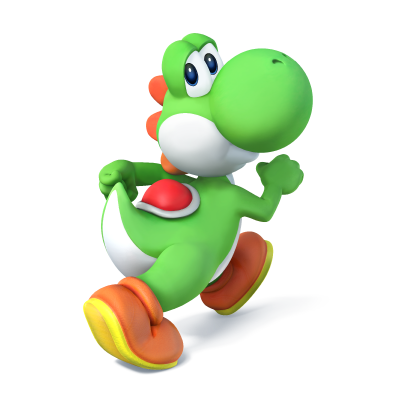 Yoshi followed them to sports competitions, kart races, and even the battle arena of Smash Bros.
Yoshi is a kind and courageous dinosaur who is loyal to his friends and hard-working in spirit. He loves cookies the best out of desserts, and enjoys eating. Yoshi speaks with his own name and seems to be able to articulate limited phonemes, though there is a distinctive squeak that he makes when mounted. I'm just going to drop this off here until the character sheet thread pops up. Height (you can approximate): 3'11"
Abilities: Its ability is Intimidate, which weakens its opponents with a glare. Brave Bird: Harms Staraptor, but is very powerful. Close Combat: Leaves Staraptor prone as Staraptor attacks up close. Whirlwind: Blows Staraptor's opponents away. Quick Attack: A very fast attack that lets Staraptor move first. In addition, Staraptor's POWERFULness allows it to carry others in its talons or on its back. Staraptor is blisteringly fast and POWERFUL. And, being a bird, Staraptor can fly. Its Normal-typing protects it from spiritual energy and spiritual attacks, and its Flying-typing protects it from earthquakes and the powers of the earth. Like most Pokémon, Staraptor seems to have an understanding of human speech. Bio: Staraptor is a Normal/Flying bird Pokémon living in the wild; it is uncommon to see wild Staraptor in the Sinnoh region due to the weaker nature of Starly and Staravia. Few Starly successfully reach maturation, but when they do, they become a POWERFUL STARAPTOR, like this particular Staraptor. Staraptor is one of the few on Route 201, and presides over its nest, a regal ruler of the skies. Staraptor savagely defends its flock and territory from stronger Pokémon. Staraptor is courageous and savage, bravely challenging foes stronger than itself and savagely fighting them until either itself or its opponent drops. It will never stop attacking a foe, not even when it is injured, and has a sense of honor. Staraptor is also somewhat fussy; it is sensitive about the shape of its comb, especially during the mating season of Staraptors. 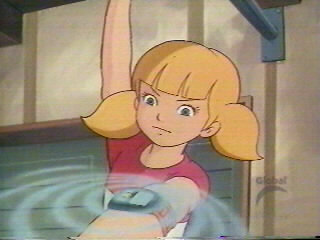 Bio: Penny is the precocious niece of Inspector Gadget, who solves Gadget's cases, giving Gadget the credit. (Gadget actually doesn't know this.) She looks up to Gadget, which is why she aspires to help solve his cases. She accompanies Gadget on his cases and will work alongside Brain to support (read:carry the team for) Gadget. Dr. Claw does not know that Penny is the one solving Gadget's cases. Penny is tomboyish and prefers gadgets and gizmos to dolls and brushes. She is a genius and likely built her computer-book and her watch herself. Penny often snoops around M.A.D. 's hideout to find out what they are planning; however, she normally ends up getting caught by Claw's henchmen and she either escapes by herself or calls her loyal pet dog Brain to rescue her. But when she and Brain are both captured, Gadget becomes surprisingly useful and competent and goes out of his way to rescue his angel, Penny. Gadget loves Penny more than anything and spoils her rotten and he sees Penny as his baby girl. She is brave and intelligent, but not naïve as you may think. Bio: Once a normal Gloomba, living in the underground levels of Mushroom kingdom Blight became the way he was when one day Mario came through Blight disobeyed protocol and instead of sidestepping right towards his inevitable demise at the boot of the plumber, he ran left and hid in a giant green pipe this kind of individualistic, self surviving instinct was quite unacceptable and the punishment for such an unacceptable act was death, unfortunately that was not the end as he came back to life as a rotting fungus. 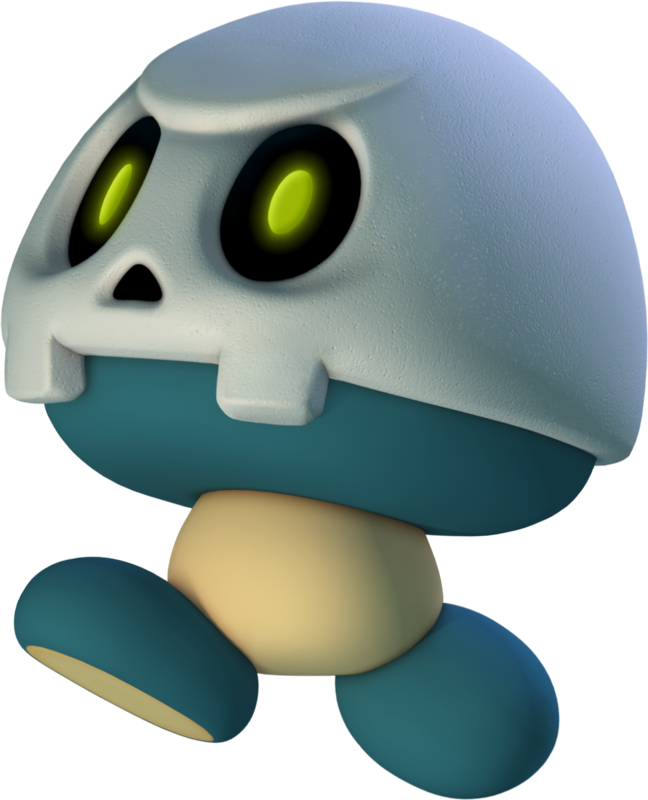 And was employed in the scarier levels with the Boo's, he doesn't exactly like the job but he'll admit he does like his new bone helmet, and he'll comment that he guesses he's lucky to have a career in this economy. Nice. I remember those things from NSMB2. Abilities: Equipped with a steel naginata, Oboro demonstrates exceptional skill in Hoshidan traditional lancing technique. Oboro is a disciplined soldier driven by vengeance, although she is also skilled in the weaving of kimonos (as that is her family's trade, at least it was until Nohrian soldiers slaughtered them). Oboro's skill can weaken an opponent's defenses, and she can quickly switch places with an ally as a substitute. Bio: Oboro's family owned a well known Kimono Shop, but her parents were killed by Nohrian soldiers when she was young. Oboro herself was taken in by some relatives who worked for the Hoshido nobility, eventually learned how to be a lancer and eventually became a soldier for the Hoshido army. She found herself in service of Takumi soon after. In her support with Belka, she learns that it was Belka's adopted father who killed her parents. Because her family worked closely with the Hoshidan royal family, they gained political influence and became a target of Nohr. Requesting to meet Belka's father to exact her revenge, Belka informs her that she already killed him. Although Belka offers to let her kill her in exchange, Oboro refuses, preferring to work with her to bring peace to the world. Oboro has a severe hatred of Nohr because they killed her parents. Finding solace in the Hoshido army, especially under the service of prince Takumi, she developed a crush on her new leader. As the daughter of a Kimono Shop owner, Oboro has a good fashion sense and is always up to date with the latest trends. She is also very active and protective of her fellow soldiers, working hard to keep the army well taken care of. She changes her attire the most. Her birthday is November 28th. The Commander's gonna be pissed when he finds out that nobody who shamed him is in his clash right now. ToadRopes wrote: The Commander's gonna be pissed when he finds out that nobody who shamed him is in his clash right now. Expect catfights now that we have both a Hoshido soldier and a Nohr soldier in this clash. If only our mighty GM were here. ToadRopes wrote: If only our mighty GM were here. Good. I've been itching for some powerful Staraptor action. ToadRopes wrote: Good. I've been itching for some powerful Staraptor action. On an unrelated note, is there a version of your sig image that doesn't cover up the chest? Yes; the gif in my sig is a joke about the image censorship in the Fire Emblem series, mocking the curtain censorship used in a DLC map for Fire Emblem Awakening in which a character's booty was covered up by said curtain. So when's the IC coming? ToadRopes wrote: So when's the IC coming?